Today, there are an estimated 1.6 billion Muslims, constituting 23 per cent of the world’s population. They live across all the continents and contribute substantially to the world economy. They are also significant players in the social sector, whether it’s through developing non-profits that address human welfare and social needs or creating charitable foundations which are distributing financial resources at an unprecedented level. Within this group, there is a potentially enormous resource base to build new initiatives to advance social justice. At a time of change and uncertainty, philanthropy is challenged to help facilitate dialogue among all sectors of society and provide the resources for implementing creative solutions to problems. Today, Muslim philanthropy is at a crossroads. 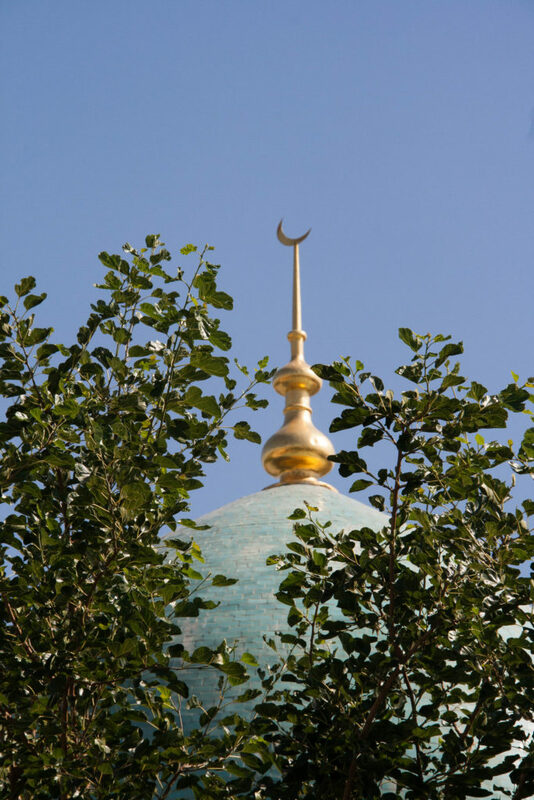 How can and should it respond to the challenge of building new models of giving while simultaneously refining old methods embedded in vibrant Islamic tradition? The foremost challenge in the field is to promote strategic and accountable philanthropy that complements and enhances the generations-old conventional charity, which is often personal and spontaneous. Muslim giving needs to be re-examined and allied with the newly developing era of prosperity and hard-earned stability found in some parts of today’s Muslim world. Externally, Muslim philanthropy is challenged by prejudice, suspicion and negative publicity, thus limiting its ability to fund programmes addressing poverty, illiteracy, environmental degradation, and disease. The necessity to effectively harness resources in order to make a greater impact is compelling. The World Congress of Muslim Philanthropists (WCMP) has long argued that strengthening best practices in the Muslim philanthropic sector must be a priority, with a new view to enhancing social justice. Consequently, it is committed to a process of planning and action to achieve lasting change in the field. In pursuit of this agenda, WCMP envisions working in collaboration with the vast array of individuals and institutions who seek to improve the conditions of Muslim societies and the broader global community. WCMP, therefore, resolves to work towards building and promoting these strategies in the field, accepting its share of responsibility for completion of this work, as well as encouraging and supporting others that can contribute to this endeavour. At a time of change and uncertainty, philanthropy is challenged to help facilitate dialogue among all sectors of society and provide the resources for implementing creative solutions to problems. Old approaches to giving which operated in isolation or only addressed the symptoms of social ills will no longer suffice. Philanthropy around the world has an opportunity to make sure that its efforts going forward are complementary and mutually reinforcing. 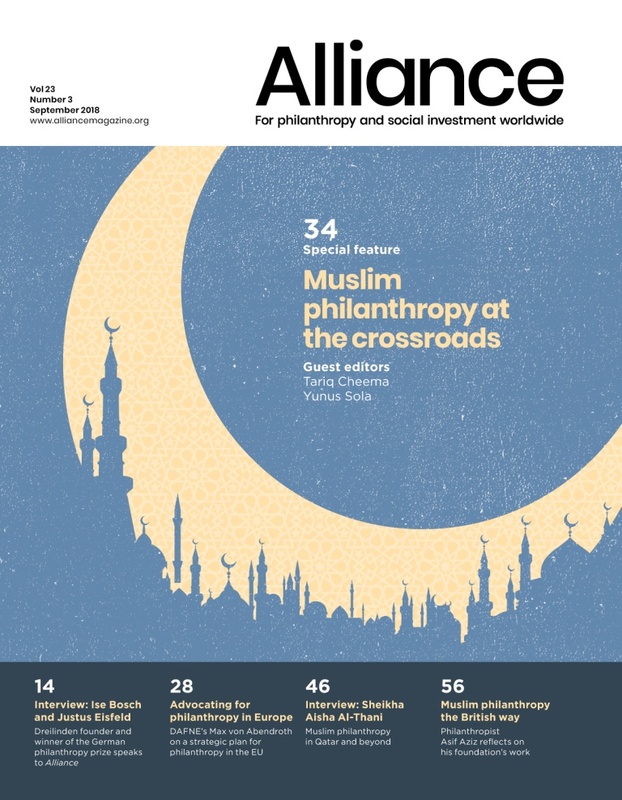 Since Muslim philanthropy is predominantly faith-inspired, the resolution of longstanding religious tensions and geopolitical conflicts through dialogue and diplomacy must be among the top priorities of Muslim philanthropists to achieve sustained peace and prosperity across the Muslim world and its neighbouring lands. Indeed, what Muslim societies call for is a rational discussion of their own situation and on their own terms. As a growing network of individual donors, grantmaking foundations and socially conscious corporations, the Global Donors Forum offers a platform for consultative dialogue from which a new social compact can eventually emerge. It is the pioneer effort to bring Muslim philanthropists together and challenge ourselves to revisit and broaden the spectrum of our funding preferences. By investing in locally generated agendas for change, we can contribute to a more holistic advancement of society embedded in the rule of law, human rights and economic growth. Philanthropy is a problem-solving mechanism that drives towards creating solutions for sustainable change and investing in the future. Muslim philanthropic giving is closely related to the Arabic concept of takaful, which translates to standing in solidarity with the needy. Muslim giving is heavily influenced by the fundamental pillars of philanthropy present in the Islamic faith: zakat, the compulsory alms giving of Muslims, and sadaqa, the discretionary charity that can take the form of financial resources, donation of material needs or voluntary service. These practices most closely encompass an understanding of giving as a spiritual and social obligation. Since Muslim philanthropy is predominantly faith-inspired, the resolution of longstanding religious tensions and geopolitical conflicts through dialogue and diplomacy must be among the top priorities of Muslim philanthropists to achieve sustained peace and prosperity across the Muslim world and its neighbouring lands. Muslim giving is a lifeline to humanitarian organizations who contribute towards a robust relief network on the ground. However, it is constantly challenged by two main issues: firstly, the overwhelming proportion of Muslim giving is directed towards disaster relief, thus leaving very little room to diversify funding. As a result, less money is available to invest in addressing other societal needs such as health, education, food security, and economic empowerment. Secondly, the high burden of humanitarian crises combined with limited availability of human and financial resources and lack of coordination among relief actors compromises the effectiveness of service delivery. Against this backdrop, it is of paramount importance that Muslim philanthropy adopts a holistic approach focused on crisis prevention not just crisis management. Muslim philanthropy and philanthropy in Muslim societies is bound to grow both in its maturity and effectiveness. Islamic financial institutions also have an extremely important role worldwide to counter the widening gap between the rich and poor. The issues of social justice, wealth redistribution, poverty alleviation and prevention of exploitation can be addressed through these institutions using the techniques and instruments available to them in the most effective way possible. In particular, Islamic financial institutions can help unlock capital embedded in the waqfs, can enhance management of zakat and can accelerate financial exclusion through fintech and other impact investing innovations. Muslim philanthropy and philanthropy in Muslim societies is bound to grow both in its maturity and effectiveness. However, it also faces a complex set of external and internal challenges. Conventional giving models will continue to be less effective without the application of research and innovation. Muslim philanthropy can both share and learn from the giving legacies of other faith traditions. It’s time for Muslim philanthropy to come of age. Tariq Cheema is the founder of the World Congress of Muslim Philanthropists.